The Vancouver Sun mentioned UBC professor Patrick Condon in article about the UBC SkyTrain extension. 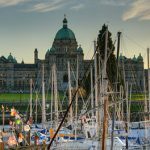 British Columbia’s New Democrat government is expected to unveil its first budget Monday following last week’s throne speech. The B.C. government has announced it’s ending bridge tolls effective September 2017. UBC experts are available for comment. UBC professors are available to comment on the transit announcement expected tomorrow from the Federal and Provincial governments along with Metro Vancouver mayors. Imagine a city with better transit, more green spaces, and more diversity in housing types. Aggressive investments in B.C.’s transportation system will reduce greenhouse gas emissions and lead to healthier and safer communities, says a new study by Patrick Condon, UBC chair in Landscape and Livable Environments, and an economist from the Canadian Centre for Policy Alternatives.